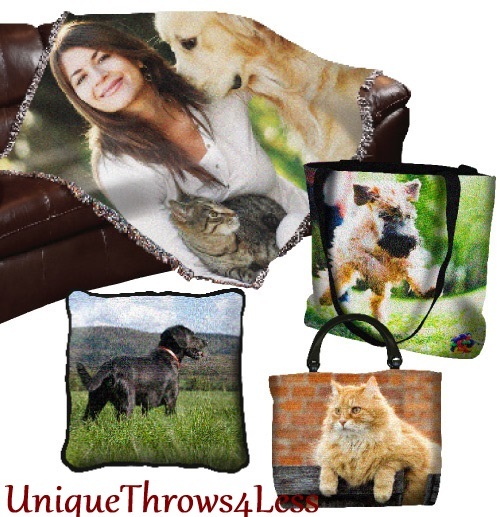 Your favorite photo into woven tapestry or soft fleece Photo Throw Blanket- FREE Shipping! Come, check out our best seller, Photo Throw Blankets! Rock Bottom, Below Retail Price plus FREE Shipping!! cozy cover on the bed. Great for those chilly nights outdoors, snuggling with your sweetie. The quality and craftsmanship in these woven keepsakes is unsurpassed. and see the detail in the stunning colors of these awesome afghan throws! the better the finished results of your blanket throw. SIZE: Any photo will work. We prefer photos larger than 5x7. For digital photographs, please make sure that they were taken by a 1 megapixel or better camera. CONTRAST: A high contrast photo works the best. A black dog on a black couch in a dark room will not yield the best results. Conversely, a white dog in the snow will not work well, either. If your main subject is brightly lit and the background is somewhat dark, the results will be brilliant! Please avoid dark shadows on the face or subject. FOCUS: Make sure your subject is sharp. The better the focus, the better the final piece will be. COLOR: We can use black and white or color. COMPOSITION: Keep it simple. Make sure that your subject occupies 60-80% of the photo. This is not an absolute necessity, but it will make for a better finished piece. Creative cropping of your photo will result in a better composition, and ultimately, a better finished piece. If you would like us to crop your photo to best show the subject matter, please indicate so when you place your order. You may also provide personalization FREE of charge or let us know if there's a border you have in mind. 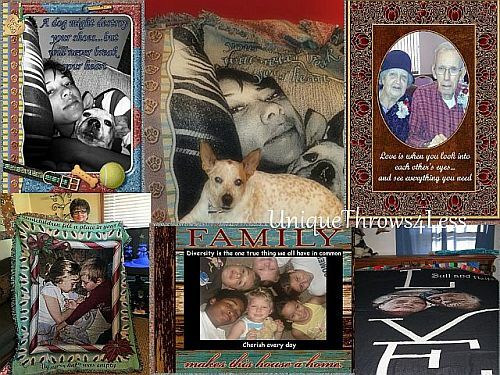 Our soft Photo Fleece Throw Blankets are made using dye sublimation. 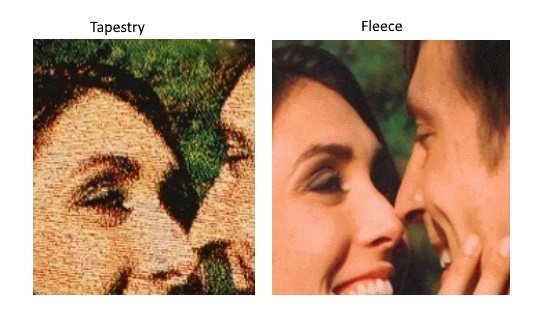 In this process, your image is 'dyed' into the fleece blanket. The special inks are heated to the point they vaporize and dye the fleece to permanently color it. You cannot feel the image like you can on with an iron-on image. The result is an image with absolutely fabulous detail, almost photographic in quality.